So you remember how I said I'd be doing more choker DIY's? This is my follow-up. To be honest, I don't know how I came up with this idea. I think it's because I've always loved circle pendants. 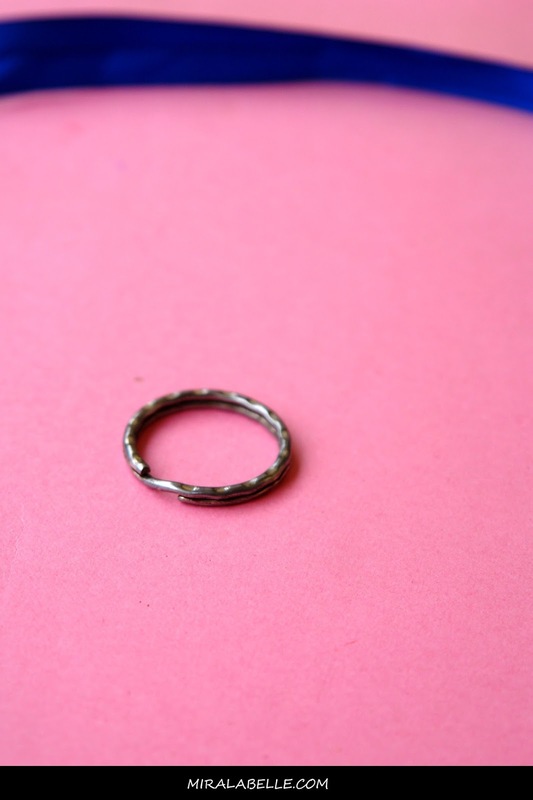 Finding circle pendants aren't easy though so I thought... "Key chain? Why not?" They're very easily accessible and come in various sizes. 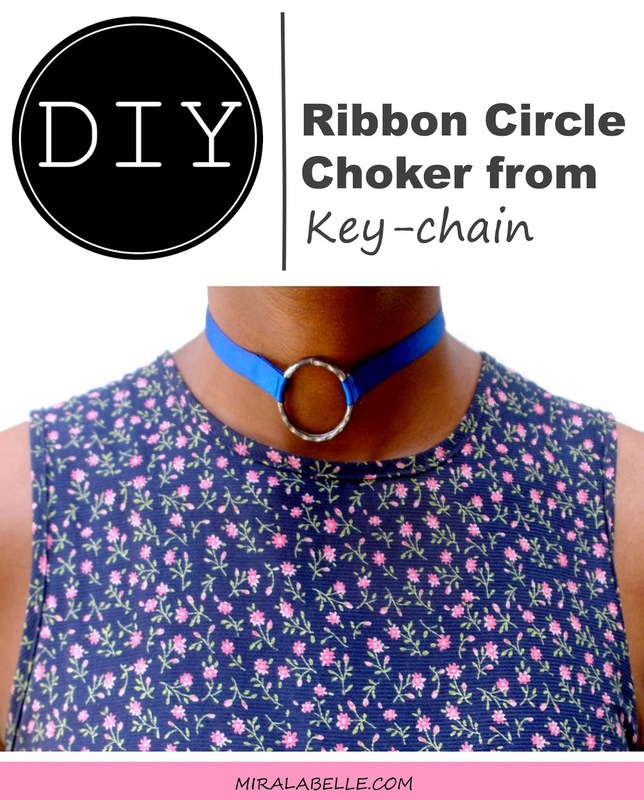 Would have loved to use a black ribbon but if I kept waiting till I found one, this DIY wouldn't even exist. Cost: Next to nothing (as always). Grab a key chain and let's do this! Time taken: Less than five minutes including glue drying time. Cut two even ribbons. I went for 10". It all depends on how long or big you want your bow to be. 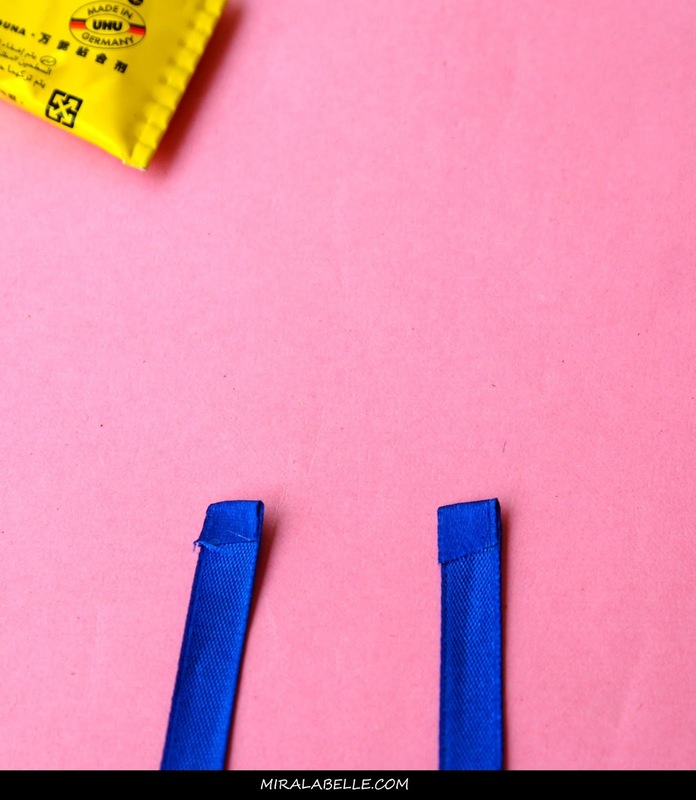 Apply glue then fold the ends of each ribbon over. This is just to prevent fraying. 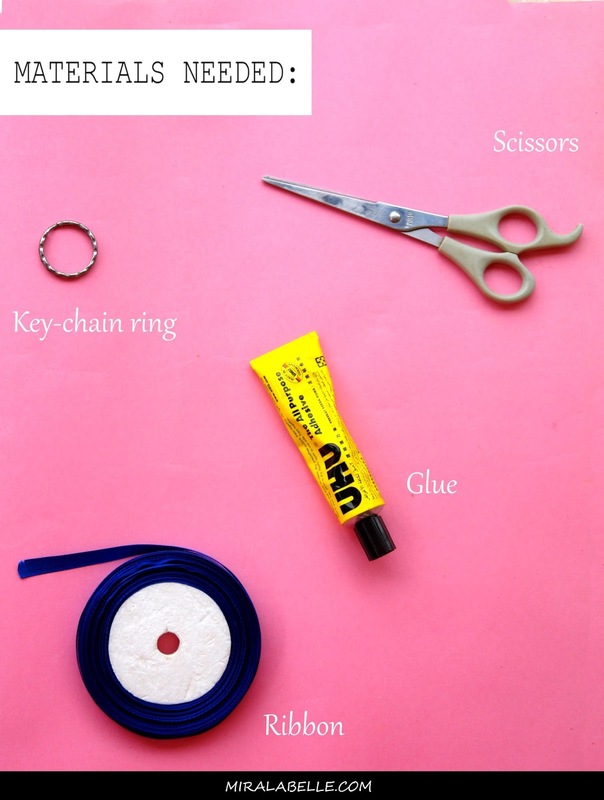 Wrap the ribbon around the key chain then apply some glue. 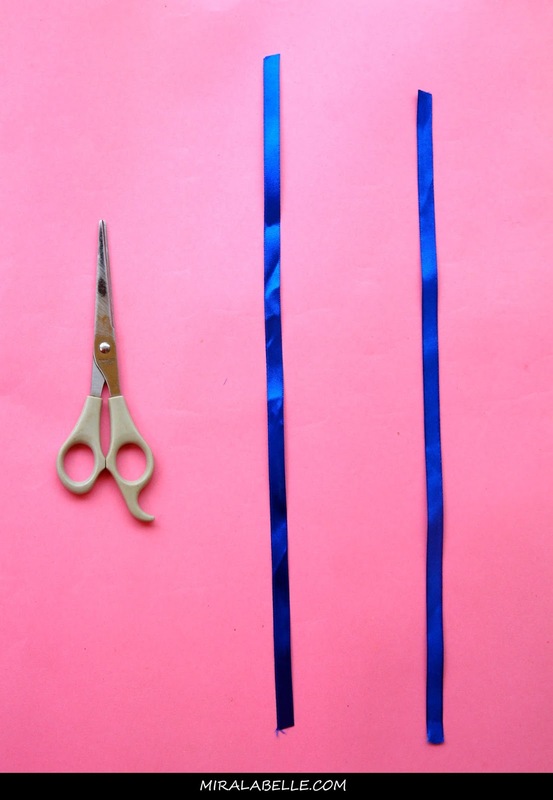 Do this for both ribbons. Done! Easy peasy as always eh? Now! On to other ways to style the choker... You could also wear it as a headband, bracelet or arm cuff. I'm starting a DIY community up on here. Can I get a Whoop whoop!!! 1. You do any one of my DIY's. You could put your own unique twist and stuff. 2. Take a very crisp, clear photo of the finished product. You could also take pictures of the process if you want to but please, no collages. If you want a collage, I'll make one for you. You could also add notes on your DIY if you want to. 3. Send me an email (ijennamirabelosuji@gmail.com) with your name, the required stuff above and your blog web address (if you have one). If the email is inconvenient, you tcould try to reach out on social media channels but I could miss your message so via email is definitely the best route. I'll be posting the first "Crafty Readers | MLB inspired DIYs" at the end of May. The success of this series depends on you so pretty please don't break my heart. And to motivate you guys, I'll be picking my best, and the reader gets a gift. Hint: It has something to do with art and fashion. I'll reveal it later. The gift is for only lagos people though. Ok, that was a long one! 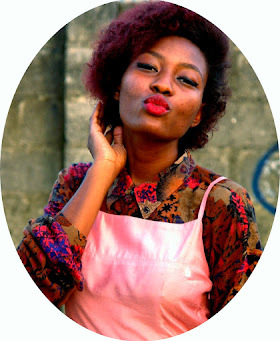 If you got to the end of this post, you are a gem and I sincerely love you. 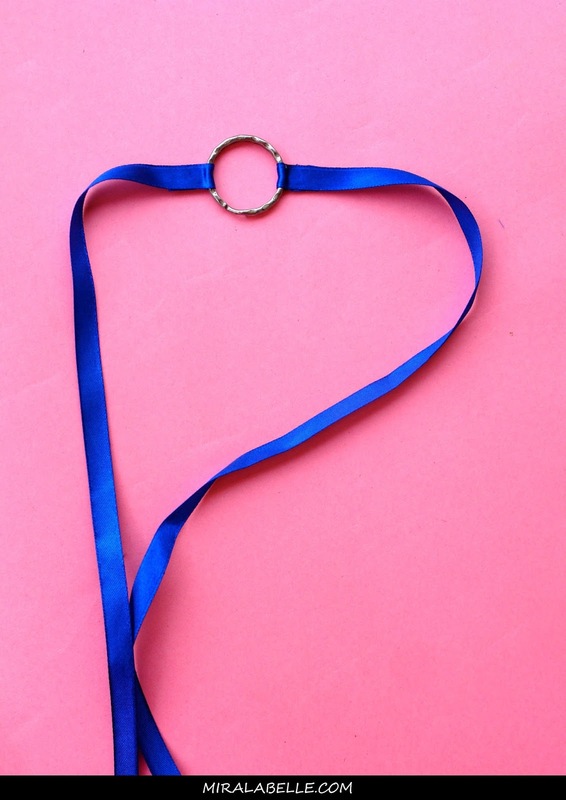 - Awesome blue ribbon choker in three steps. But why does that sound like you won't be involved? Seyi na! I know you love DIYtoo. I found the key ring to use already buying black ribbon and glue tomorrow. Whoop! Yay! Can't wait to see your handiwork! Very nice and easy. I'll try this with a black ribbon. I'm so doing mine as an arm cuff. I think that's actually my fave way the choker could be worn! Wow, you are a creative bone! It looks simple and elegant and I love the fact that it has many uses. Can't miss the Deutschland colors! I have a ton of that tube and not once have I noticed the made in Germany! if you call it crap its not your fault, since its crap where are your own non crappy designs??? please dear i am not picking a fight with you, but there's a better way to say things.